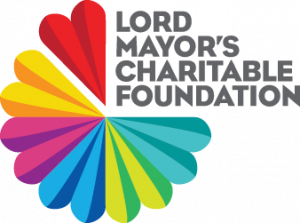 Lord Mayor’s Charitable Foundation is seeking a highly motivated and passionate Donor Development Manager to join the Marketing and Development team. Reporting directly to the Chief Marketing and Development Officer (CMDO), the Donor Development Manager will contribute to the Foundation’s donor, bequests, professional advisor and strategic partnerships strategy. The successful applicant will add value to the Foundation’s work by attracting a range of new donors and strategic partners by examining data produced by the Foundation, external or commissioned sources from the grants team and as highlighted in the Marketing and Development strategy. As a member of the Marketing and Development team, the Donor Development Manager will be one of the organisation’s field experts on donor and professional advisor behavior and feedback who is required to provide insight and knowledge on how the sector is performing and responding. The position must be a consistent face and contact for donors and advisors representing the Foundation both internally and externally at meetings and event opportunities. In collaboration with the Data Analyst and Community Insights Manager, the Donor Development Manager is required to assist the CEO, CMDO and Chief Financial and Operations Officer in identifying development opportunities relevant to strategic and business planning. Furthermore, the Donor Development Manager is required to support the Program Managers in connecting with and developing relations with donors and be an active contributing member of the Marketing and Development team regularly providing insights and advice to the CEO, CMDO and other relevant stakeholders. At least ten years’ experience in a business development, or relationship management (including a professional advisor role) or similar. Development or stakeholder engagement experience in the not-for-profit sector or a professional services area. Proven track record in securing and developing business and personal relationships that contribute to the financial growth and sustainability of the organisation. Experience collaborating with marketing teams and internal and external teams on projects. Knowledge in the field of philanthropy, especially donor advised giving. While not essential, an understanding of legal and accounting requirements. Ability to be strategic and effective in building long term relationship with donors, bequestors and fund holders. Demonstrated ability to collaborate with business teams and translate business needs to business requirements – a team player with a positive attitude. Please quote in application: Donor Development Manager via Pro Bono Australia.